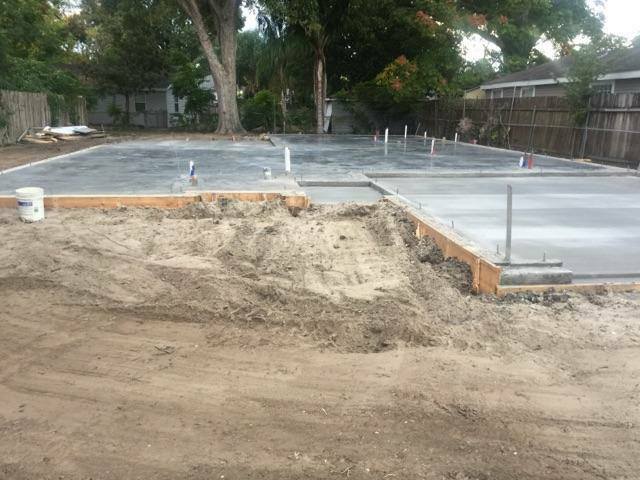 Every new home construction starts with a solid concrete foundation. Nola Concrete LLC has experience laying concrete foundations for buildings, and we have the ability to handle all phases of your project. The turnkey service ensures that your project in Metairie, Louisiana, is finished on time and prevents you from having to hunt down different contractors for specific jobs. Count on us for all your concrete installation needs. Choose from turnkey or labor-only foundation installation for your project. When you choose our turnkey service, our licensed concrete contractors will take care of all aspects of your foundation installation. This includes setting up the inspection, ordering the necessary materials, preparing the job site, and finally the earthworks. If you want to handle all of the materials and prep work by yourself, you can select labor-only service.